Well, there is quite a bit to being a fracture, as well as how to diagnose and treat them. A fracture is a crack or a break within a bone. It can occur when force is applied against a bone, that is stronger than what it can structurally withstand. 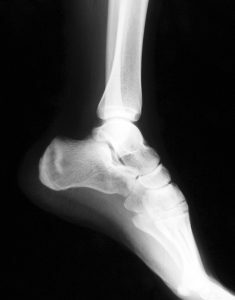 The most common bone fractures are those around the ankle, hip and wrist. Typically, fractures are treated with a plaster cast or by inserting metal rods surgically to hold the bone pieces together. Sometimes, however, complicated fractures may need surgical help. For the most part, treating broken bones is pretty routine for doctors. If your fracture is showing signs of healing, casts can be removed a few weeks after the injury had happened. There are some cases where a person may have more than one type of injury. But generally, if that’s the case, doctors will just treat the injury as if it is a fracture. Fracturing any part of your body is not a good feeling whatsoever. Not only is it painful, but it causes unwanted stress and inconvenience. If you’re looking for a medical clinic to diagnose, do x-rays and treat a fracture, there is no better place than the Millennium Westland Clinic. We specialize in x-ray’s, bone density, bone scans and more. Contact us today at 734.728.2130!